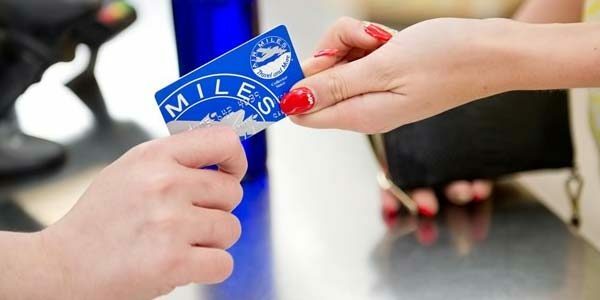 Canadian cardholders were up in arms this week when Air Miles announced the lower spending cap on purchases using cash miles. This cap is a fraud prevention method, a reaction from last month’s scandal when stolen air miles were used to make in-store purchases. The previous limit was $750, but the new cap is a laughable $50. This move has outraged many card holders, and several Canadians are considering switching to another card with better offers. There are several credit cards that offer air miles travel rewards for spending, so consumers aren’t limited to this one brand. Here are some of the best air miles credit cards for Canadians. Using the BMO Air Miles MasterCard or BMO AIR MILES World Elite MasterCard, travelers collect 1 point per $15 spent, and earn up to 40% BMO cashback discounts on flights. The CIBC Aerogold Visa card has an outstanding signup bonus worth the equivalent of points earned for 15 flights. Generally, Air Miles is better for in-province, domestic and international economy flights, last minute bookings, and gift cards. Alternatively, Aeroplan is good for upgrading flights, paying for premium class, or purchasing peak season tickets. RBC has an Avion air miles offer that would appeal to any traveller: air miles travel rewards can be used on any airline for any flight, at any time. The more miles, the farther you can travel. For example, 15,000 points will only service you around the US or Canada, but 65,000 will take you in Europe. Canadian travelers will appreciate the no blackout or seat restriction policies as well. Finally, travelers have the option to use points for insurance, roadside assistance, and other travel-related expenses. The American Express Air Miles credit card has one of the lowest interest rates, offering 1.99% for the first six months. Cardholders can also earn double points at participating stores across Canada with their Air Miles Collector Card. Points can be used for travel expenses such as insurance or flights; entertainment services such as reserved seats; or buyer’s coverage such as purchase protection. Alternatively, the American Express Platinum credit card offers different benefits such as a 50,000 signup bonus upon conditions, higher earn points ratio, and access to travel benefits like the Canadian Platinum Lounge, flight upgrades, and loading benefits. Both are excellent choices for even infrequent travellers. Whatever you end up choosing, don’t forget that you can sign up for more than one card and enjoy the benefits of multiple signup bonuses.